Are you trying to figure out the right resources for your Spring TX HVAC Contractors needs? When you’re having a lot of problems with your HVAC systems and you don’t know what to do, you may feel like you’re unable to find the solutions you deserve. Why not make the most out of your setups and hire a team like Houston Admiral Services? Our team of professionals are here to make sure you’re able to succeed in no time; if you want help, it’s going to be on the way. Houston Admiral Services takes great pride in making sure you’re able to find the right solutions and setups for your problems. When things go wrong with your HVACs, it can seem like nothing is going to ever be right again. This heating, ventilation, airing, and cooling system is one of the most important things that you will ever spend money on. You’re going to want it to stay in great condition, and the last thing you want to experience is a faulty repair or replacement. People really lose a lot of money and time over these types of things, but we’ll be on your side to find relief. Maintenance is something that you can always count on, and we’re going to be on your side when things go wrong. Have you ever wondered what your air conditioning unit would run like if it were in tip top condition? When this is on your mind, it is very easy to get confused and start wondering about what’s going on with your setups and solutions. When you’re struggling to make sense of what’s right and wrong, call in our team. We’re proud to offer you our famous 31-point inspection plan. This is something that will really help you figure out what’s going on with your setups, and you’ll always be able to get more out of your system if you have this. We realize that when things go wrong with your maintenance, you’re going to want to figure out what’s going on without wasting time. Realize your greatest potential and get the most out of your systems by calling Houston Admiral Services at 281-876-9400. The typical HVAC system will last you roughly 15 to 20 years. This is something that’s absolutely critical for you, and you’re going to want to keep it in check if you’re trying to make sure it lasts the whole duration. While this isn’t something that anybody should feel bad about, it’s important to remember that you’re going to have to maintain it. If you don’t do that, you’re going to have to feel like you’re living and sinking in your indoor airing. Did you know that failure to maintain your HVAC systems Spring TX can really cause you a lot of problem? When you’re trying to figure out how you’re going to get out of this, it’s important to figure out what’s going on for your setups and solutions. When you don’t have access to the best help and the affordable prices you deserve, it can feel like you’re swimming with no help. 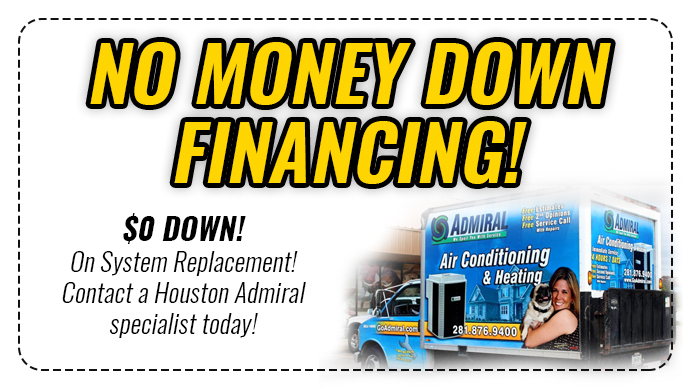 Contact Houston Admiral Services so you can finally realize what’s going on. Our team is on your side, and we’ll make sure you’re taken care. 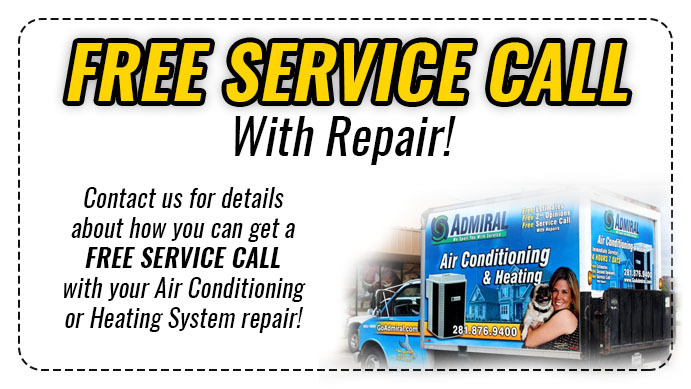 Quality Spring TX HVAC Contractors like the one in Houston Admiral Services will help you figure out your solutions in no time. You’re probably trying to find what’s going on for your HVAC setups, and we realize how tough this can be at times. When you’re ready to figure things out and make your dreams come true, contact our team and we’ll help you through your situation. By calling 281-876-9400, you’ll be able to find the right access to the things that help you the most. Give us a dial today for more info. Commercial solutions are here for you as well. Are you trying to figure out how your business is going to get the right solutions and setups for the workplace heaters and coolers? Maybe you’re trying to work harder, but your employees are complaining about your break room being too cold. This is a very popular complaint, and we understand that things are absolutely necessary when you’re unable to figure them out yourself. Contact our team and realize your greatest goals by calling in Houston Admiral Services for more information. Residential and commercial problems can really be tough, and we’re going to make sure you’re able to find the right solutions for your problems. By calling in our team, we’ll ensure you have the right access to what really makes sense for you. Our HVAC contractors in Spring TX are ready to help you find the right solutions. Houston Admiral Services is here to help you, and we’re going to make sure you’re able to figure out your solutions. Are you ready to start saving some money and getting the best deals possible on the services that matter the most to you? When you’re trying to figure out what’s going on with your setups, it can feel like you’re doing nothing but spending. Try to make sure you’re able to figure out your problems, and lean on our team when you need help. We’ll ensure your success and find the right resources on your behalf. 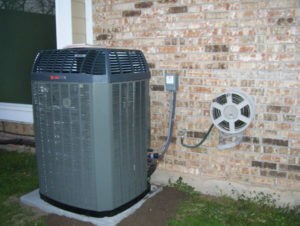 You deserve to find the right Spring TX HVAC Contractors service. Our team of professionals are ready to help you figure out your solutions and find solace in taking action on your part. If you’d like to know what you should do next to find your personal form of relief, know that you can count on us here at Houston Admiral Services. Call us today at 281-876-9400 for more information. Spring is a great place to raise your family, and we’re ready to make sure you have access to safe places for your spouse and children. Visit Spring, Texas if you’re interested in making sure you have the right resources.